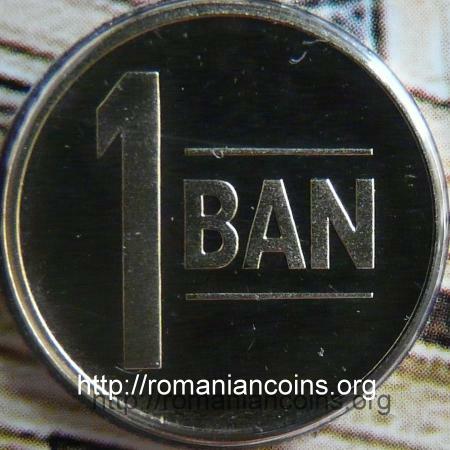 The 2011 mint set comprises the 1 ban, 5, 10 and 50 bani that entered circulation at July 1st 2005. 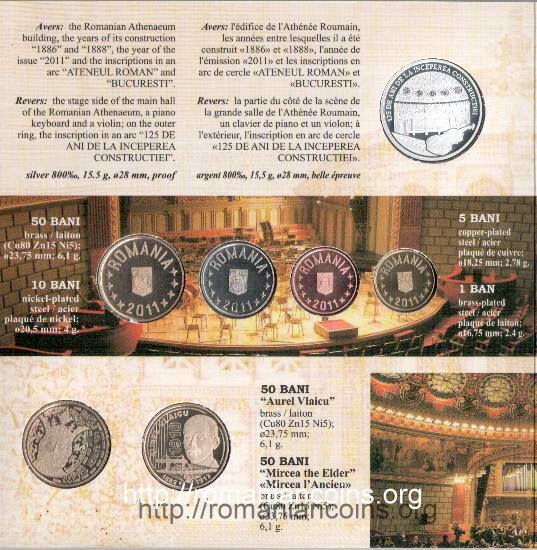 All coins are struck in proof, (of maybe like-proof - on the set cardboard the medal is described as proof, but there is no statement about the coins). 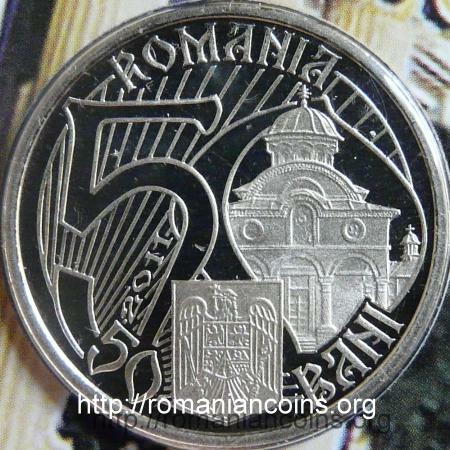 It also comprises the anniversary coin of 50 bani dedicated to Aurel Vlaicu and his plane, in a proof variant with faces placed in medal style, with year 2011. 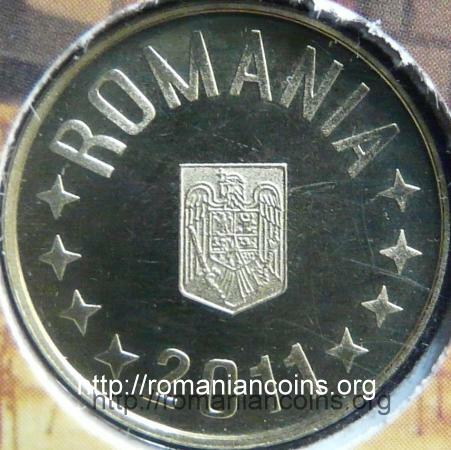 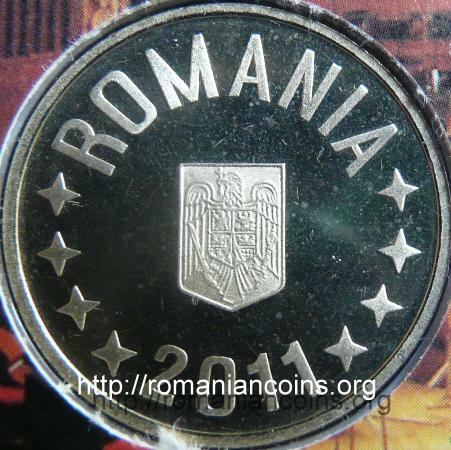 This coin was initially issued in 2010 to celebrate the centenary of the first flight of Aurel Vlaicu. 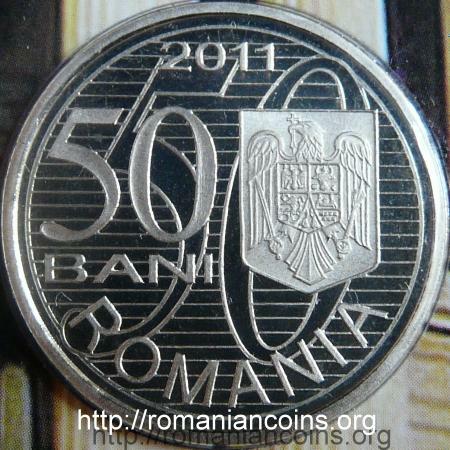 Three variants of 50 bani Vlaicu 2010 exist: one for circulation, of regular quality, one proof with faces placed in medal-style (inside the mint set from 2010) and one proof, with the faces placed in coin-style. 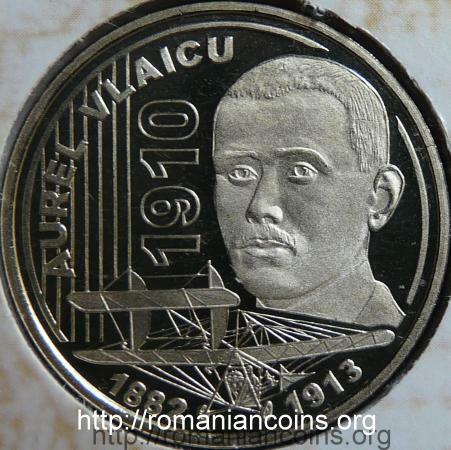 So, 50 bani Vlaicu 2011 is an unexpected presence, as it celebrates 101 years since the first flight of the Romanian aviation pioneer! 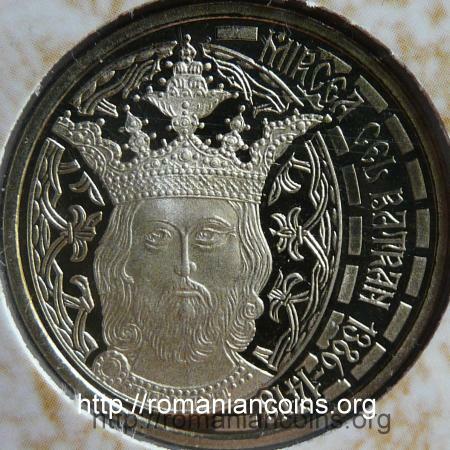 The set also comprises a 50 bani coin with Mircea cel Bătrîn, with medal-style faces, in proof. 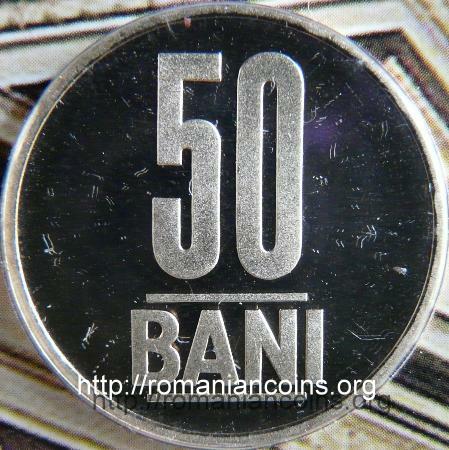 The 50 bani 2011 Mircea cel Bătrîn also exists in business strike variant, of regular quality. 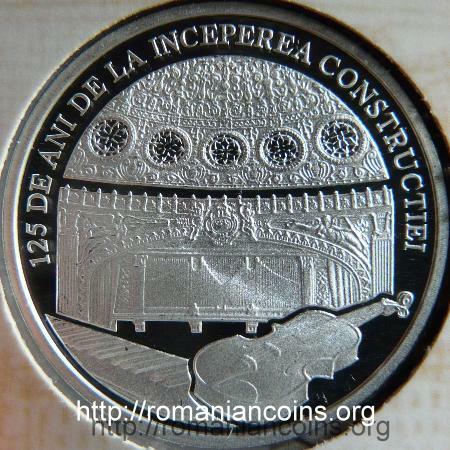 The set medal is dedicated to the anniversary of 125 years since the foundation of the building of the Romanian Athenaeum in Bucureşti. 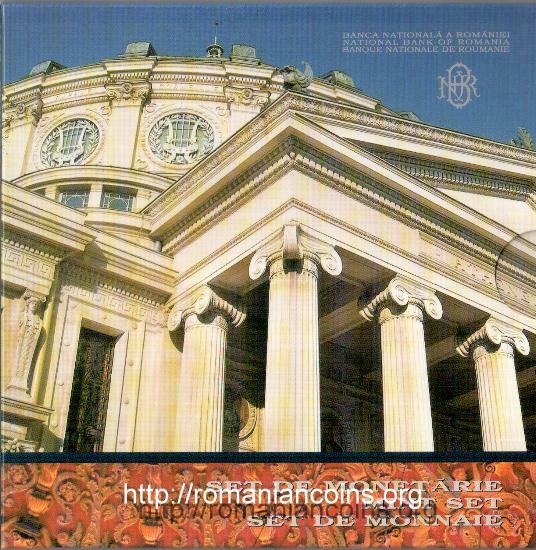 The building, in eclectic style, was designed by French architect Albert Galleron. 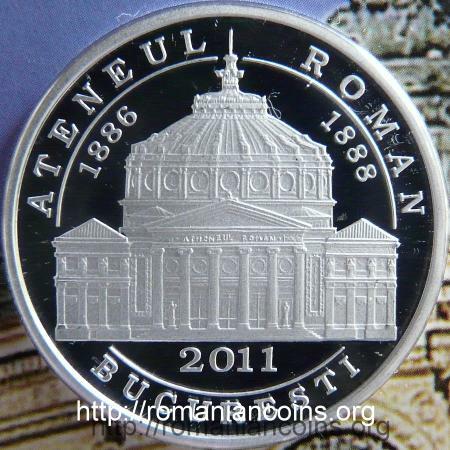 The foundation stone was layed in October 1886, the Athenaeum being innaugurated 16 months later. 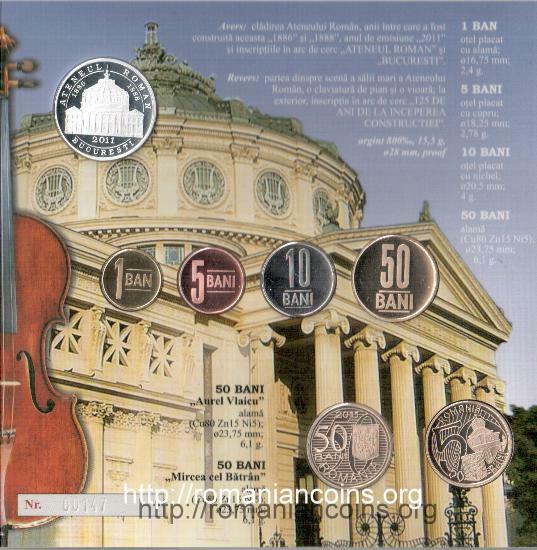 The cover of the set presents a picture of the Athenaeum building.